Beauty in The Pot Chinese steamboat restaurant chain has three locations in Singapore, including two within OneKM shopping centre (11 Tanjong Katong Road, Level 2 & Level 3). Operated by Paradise Group, Beauty in The Pot offers the essence of health & beauty from their six nourishing soup bases, including customer favourites Beauty Collagen Broth, Spicy Nourishing Broth, and other soup selections. Each steaming pot of broth has been prepared using an array of high quality ingredients that have been specially selected for an outstanding culinary experience & rich flavours, and inspired by the culture of food for health. All of the ingredients are artfully made by Beauty in The Pot’s team of chefs to seamlessly match with the rich and flavourful soup bases for maximum enjoyment. On the menu you’ll find homemade specialties coupled with the dense and nutrient-rich beauty collagen soup and/or spicy nourishing soup (with three levels of spiciness), as well as the restaurant’s homemade Fish Tofu which is prepared daily for the ideal melt-in-your-mouth texture. As for the interior décor, you’ll discover Beauty in The Pot’s interesting dark louvered panels with a variety of feature lights that create a casual and private dining environment that is suitable for all occasions. The official Facebook page for Paradise Group, which owns and operates Beauty in The Pot restaurants, is located at www.facebook.com/ParadiseGrp. 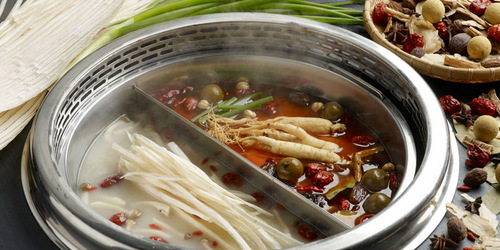 Other brands under the Paradise Group umbrella are Taste Paradise, Paradise Teochew, Seafood Paradise, Canton Paradise, Paradise Dynasty, Paradise Classic, Paradise Hotpot, LeNu, and One Paradise.